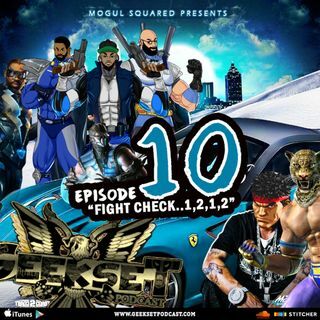 Explicit GeekSet: Episode 10: Fight Check...1,2,1,2! The Geekset crew discuss their musical background & how they came together. They also review Dragon Fighter Z & Black Lightning and why he needs a new suit. Also their favorite fighting games, characters, the most recent episode of Dragon Ball Super and more!